The other day I was at NARS to grab something and I brought home a priceless tips from the makeup artist. 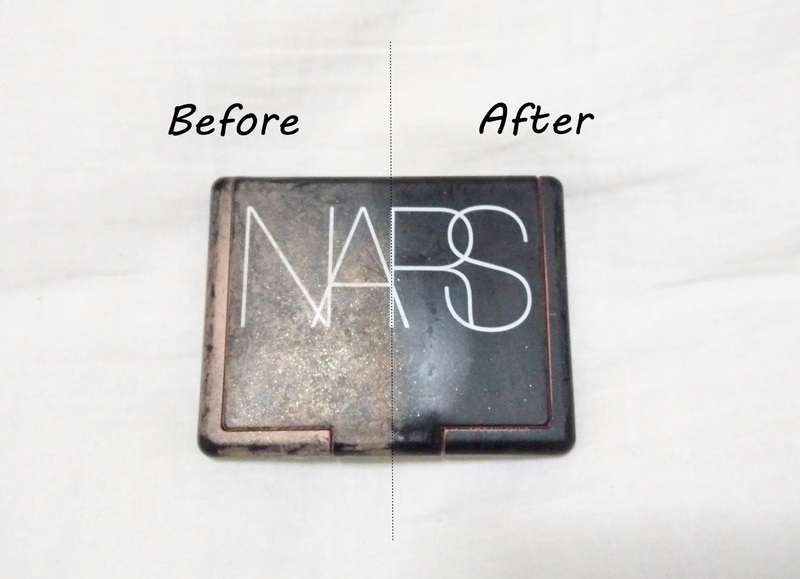 She taught me how to clean dirty NARS packaging. If you're NARS lover, you know how annoying the packaging gets after awhile. Today, I've pulled out my dirtiest NARS packaging, which is my blusher to demonstrate. What is this? This is called Magic Sponge. 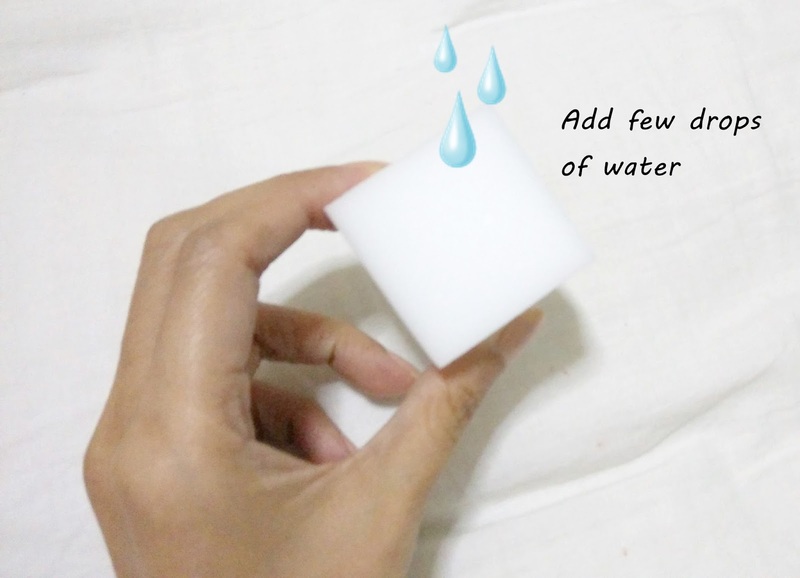 The sponge feels more compact and silky soft compared to ordinary sponge. Add just a few drops of water and make sure you squeeze out all the excessive water. Make sure it is wet but not saturated. 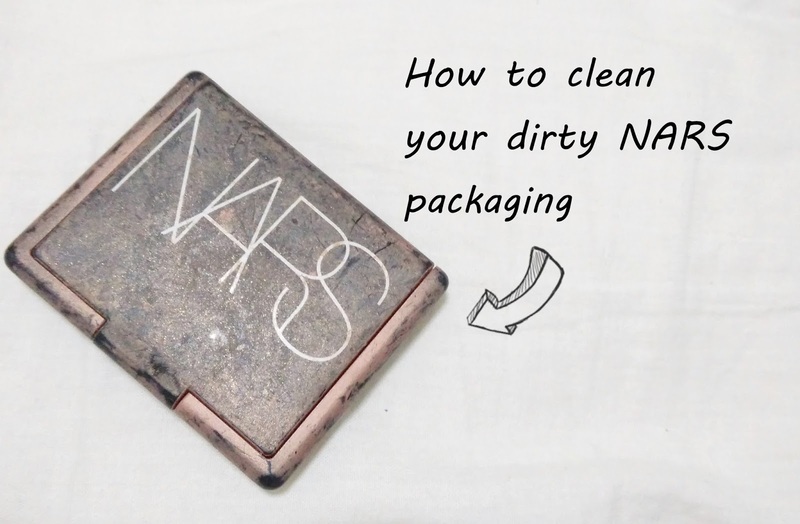 Then rub the dirty parts of your NARS packaging as if you are polishing a magic lamp. It works! You can see the obvious difference. It is indeed cleaner. However, it doesn't turn the packaging as new as the one fresh from the store. The most it can do is to clean off the dirty makeup stain on the packaging. You can buy the Magic Sponge from hardware store or Daiso. 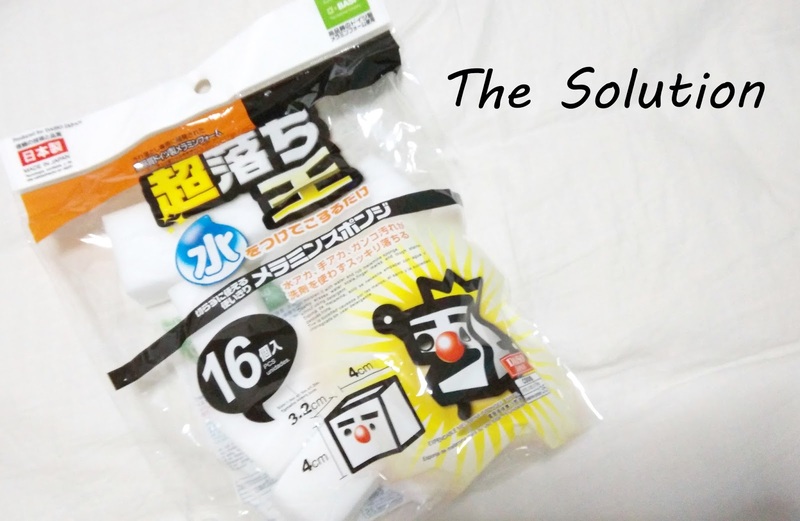 I prefer to buy from Daiso because they have various sizes and quantity to choose from. I use that magic sponge too hehe! cool tips! the matte packaging does look nice when baru beli. after a while it become like this. not so pretty dah! thanks for the tips! omg, i love this tips. my nars is too darn ugly! ahahah.. thank u Jerine! xoxo!